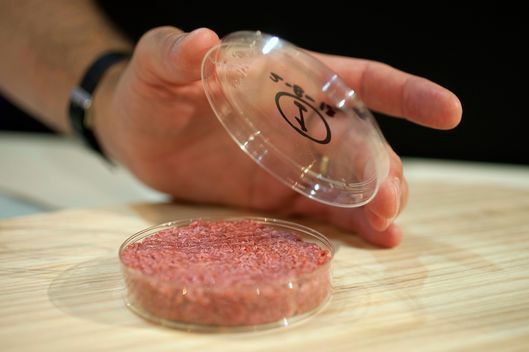 next April 9, 2015 5:25 p.m.
How Long Before Silicon Valley Can Produce Fake Meat That Tastes Like Real Meat? Ethan Brown, the 43-year-old president and CEO of Beyond Meat, grew up spending weekends and summers on his father’s dairy farm in Maryland, where he saw firsthand the inefficiencies in one of America's major delivery systems for protein: cows. “The bottleneck in protein is the animal,” Brown told me by phone from El Segundo, where his company is based. If a cow were a machine, you'd be desperate to replace it — it's energy- and resource- intensive, it creates lagoons of toxic waste, and it's sentient enough that pulling the plug is ethically questionable. Brown, a vegan since his late 20s, has a background in renewable energy; now he's focused on making cows obsolete, by creating a sustainable, low-carbon alternative fuel for humans. 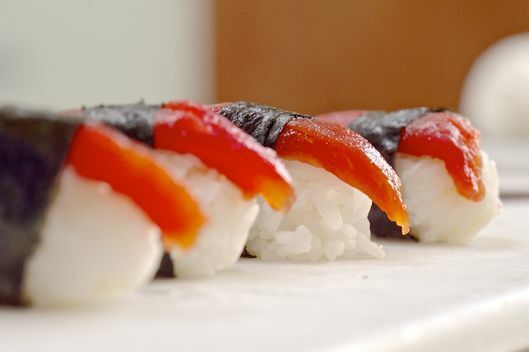 He and his Beyond Meat colleagues have convened a team of scientists, nutritionists, and chefs to develop a better meat substitute than the mealy veggie burgers and plastic-y fake chicken nuggets of yore. With his tongue only slightly in his cheek, he’s calling it the Manhattan Beach Project, and he aims to produce a healthy meat replacement that is, at least on a molecular level, basically meat — or better. While he is quick to admit that he's far from his ultimate goal, his early stage attempts are already on grocery-store shelves. Released in February and available at Whole Foods, Beyond Meat’s Beast Burger does beef one better and packs even more protein than the juiciest bistro burger. It makes sense that a technologist like Brown would be drawn to this problem — that Silicon Valley's obsession with making daily life more efficient would extend to one of the most fundamental activities of all. After all, if there's a better way to get laundry done, there has to be a better way to get nutrition down the funnel. And among the companies targeting vegetarians and “meat-reducers” who want to limit their animal-protein intake, several are backed by tech investors and Silicon Valley–connected venture capital groups. Call these companies Sustenance as Software providers: There's only so much anyone can do to change the hardware of the human body, so, instead, they're going to upgrade what they can — the food that goes inside. Unlike computers, however, humans get some choice about what's loaded into them, and for any of these products to succeed, people have to want to eat them. And when it comes to Sustenance as Software, in some ways, I’m the ideal test subject — I mean, consumer. I’ve been a vegetarian for 27 years, and while I eat veggie burgers or soy dogs at barbecues, I do so the way former smokers chew pens: It fills a need, but always fails to satisfy. I can remember once buying a soy salami and eating half of its plastic wrapping before realizing that I needed to peel it to actually enjoy the foodstuff inside — which tasted only slightly less like plastic. After nearly three decades, I should be the first to endorse juicy, mouth-watering fake meat. 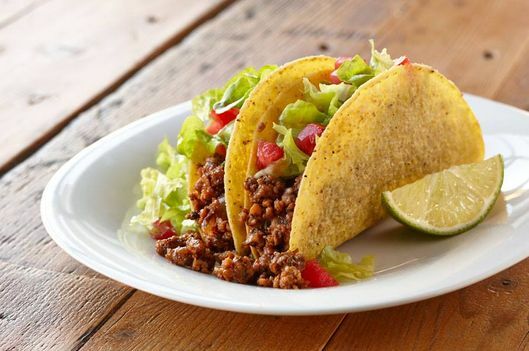 I recently picked up two of Beyond Meat’s products at my local Whole Foods and gave them a try, making tacos filled with beef-flavored Feisty Crumble and chicken-flavored Southwest Style Strips. Layered with cheese, sour cream, salsa, and avocado, the tacos were tasty enough. But they didn’t remind me of the beef and chicken I still distantly remember. The nu-meat was savory, but it lacked the heft and depth I remember: that feeling of being full and kind of charged up after eating animal protein. Companies like Beyond Meat aren't just trying to make food that tastes good, though. They're trying to make food that people are going to be able to afford as the demand and the price of meat goes up. But, first, he knows he has to convince not just my crummy taste buds, but the mouths of people used to eating real meat.